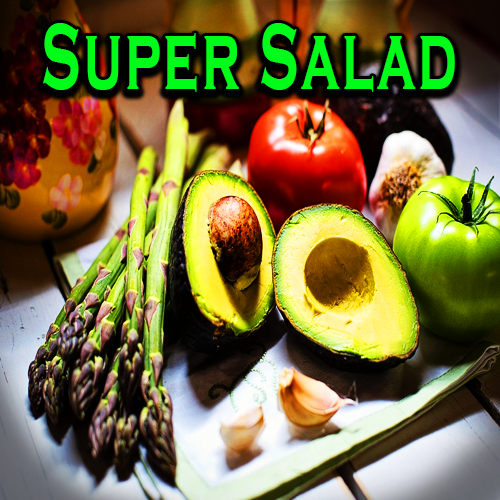 This robust super salad will feed an old goat for three or four days without going bad. It is full of vital nutrients and trace elements that nourish my body. We will now select the ones we want.